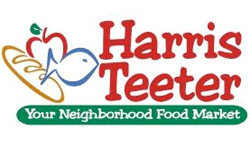 Here’s a list of deals from the Harris Teeter Ad running 2/18 through 2/24. This week’s list has a lot of stock up deals meaning you must buy a specific amount of products to get the discounted price. I put a deal idea in that section where you get (5) Froot Loops Bloopers cereals, (5) Pop-Tarts and (5) Special K Bars for 19¢ each! Remember, Harris Teeter doubles coupons up to 99¢ everyday but you can only use 3 of the same coupon per a shopping trip. Have fun and stock up! Orange, Red and Yellow Bell Peppers, $2 ea.